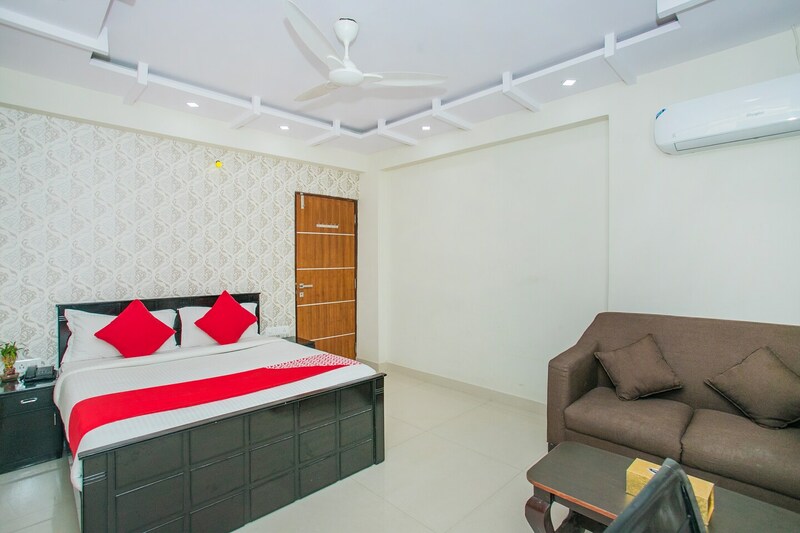 Amazing Inn is quite a popular name in the Bangalore hospitality circuit since it provides some comfortable living facilities which are available at pocket-friendly prices. The rooms are spacious and they have been well-furnished. All rooms are decorated with intricate wallpaper designs and monochromatic hues. The most notable piece of furniture provided in every room is the plush sofa set and the wooden center table. There are large windows in each room which let the guests enjoy a lot of fresh air, some bright sunlight and some wonderful views. The extra amenities provided by the hotel are free Wifi, CCTV cameras, an uninterrupted power backup source and card payment in all forms.